The right to vote was not in the original version of our Constitution, but the fight to vote has been with us since Revolutionary times. Hear how voter ID, suppressed voter turnout and other issues are not exclusive to the current day. Michael Waldman is president of the Brennan Center of Justice and the author of The Fight to Vote. In 2014, more Kansas City voters over the age of 90 showed up to the polls than those under the age of 30 did, according to a voter analysis by civic engagement group mySidewalk. But there are a few groups in town that are trying to change those numbers. 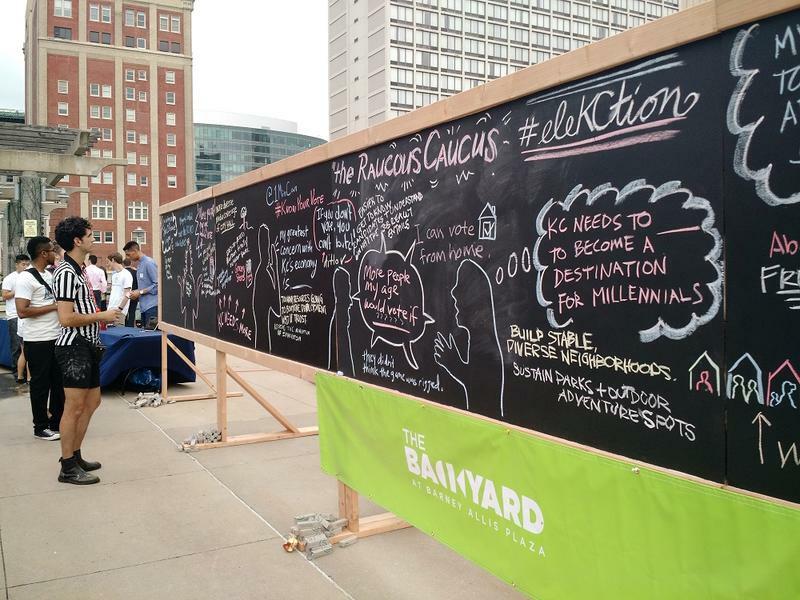 The Raucous Caucus event at the Barney Allis Plaza Friday brought together city council members, hopeful candidates and dozens of millennials to talk about the issues in the coming municipal election.